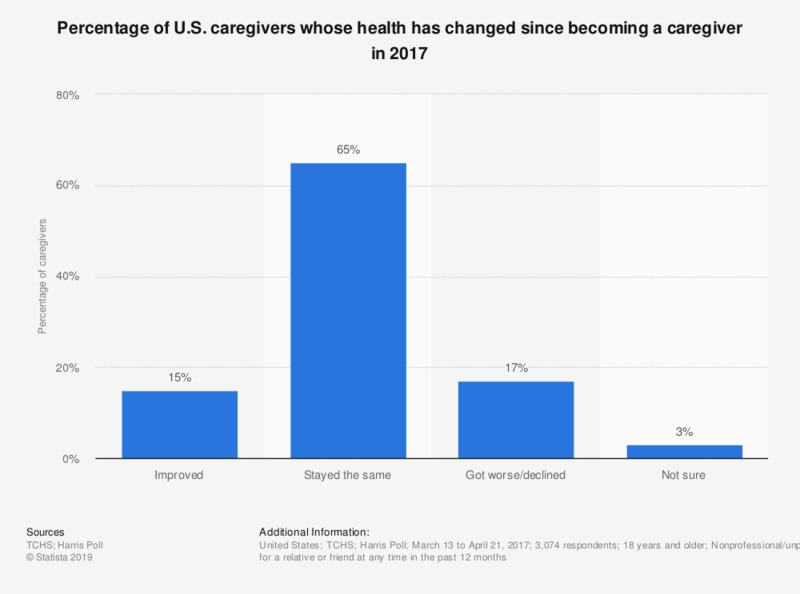 This statistic displays the the percentage of U.S. caregivers that felt their state of health had changed since becoming a caregiver as of 2017. According to the survey, 65 percent of respondents indicated that their health status had stayed the same since becoming a caregiver. Original question: "Since becoming a caregiver, has your general health…?"